> Local Government - Roll up, roll up! - A new (major) event comes to town! > Town planning and local government – Variable message signs – Do they need approval? Another high-profile prosecution under the Food Act 2001 (SA) (the Act) has resulted in the imposition of a significant penalty on an unhygienic food business. This successful prosecution by the Eastern Health Authority, instructing Norman Waterhouse, is the most recent demonstration of the deterrent power of prosecutions under the Act. The company operating the Imperial Peking Restaurant, MustWin Investments Pty Ltd, was found guilty of 31 offences against the Act. Additionally, two individuals connected with the business were each found guilty of six offences against the Act. The circumstances which formed the basis of the offences were of a various nature over several years. Circumstances included unsafe contact between cooked food and raw poultry, improper refrigeration techniques and the presence of cockroaches and rodents, all underpinned by inadequate training of staff. The Defendants were provided with several warnings over the relevant period, which were effectively ignored on an ongoing basis. The defendant company received a total penalty of $80,000, and each of the defendant individuals received penalties of $12,000. Costs were also ordered against all defendants. We have on several previous occasions stressed the effectiveness of prosecutions under the Act for achieving compliance, including in relation to prosecutions of Woolworths and Foodland. This latest prosecution further demonstrates the seriousness with which the courts view breaches of the Act, and their willingness to impose large monetary fines on both companies and individuals alike. Food laws have been enacted to protect the community from serious illnesses, and accordingly breaches are attracting increasingly serious penalties. Enforcing these laws is one of the most important responsibilities conferred upon Local Government in South Australia. Conducting prosecution proceedings will punish offenders, deter would-be wrongdoers and safeguard local residents and the wider community. It is also important to note that penalties in prosecutions under the Act are payable to the authority which conducts the prosecution. 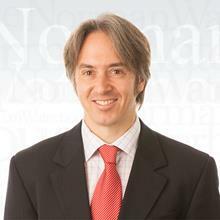 Norman Waterhouse has unparalleled experience in conducting food prosecutions in South Australia. Through our partnership with Local Government in this area, we have steered the courts towards their present severe stance on offending under the Act. We look forward to continuing our success in assisting councils and other Local Government authorities who are ultimately responsible for the enforcement of food safety laws in South Australia. For more specific information on any of the material contained in this article or regarding food prosecutions generally, please contact Paul Kelly on 8210 1248 or pkelly@normans.com.au, or Dale Mazzachi on 8210 1221 or dmazzachi@normans.com.au. Approximately a year after the first and only draft was circulated to the Local Government sector, the Code of Conduct for Council Employees (Code) has been published in the South Australian Government Gazette. The Code takes effect immediately, and automatically applies to all council employees in South Australia. The Code maintains some elements from its draft form, and takes other elements from the Code of Conduct for Council Members. Below, we set out some preliminary observations on the new Code. The gifts and benefits provisions at clauses 2.19–2.21 of the Code are the same as those in the Code of Conduct for Council Members (excluding references to campaign donations). Furthermore, the minimum value for inclusion of a gift or benefit in a council’s public gifts and benefits register is $100 for employees, the same as for council members. Accordingly, the principles that we set out last month in relation to council members now apply equally to council employees. Complaints about an employee’s behaviour that is alleged to have breached this Code should be brought to the attention of the Chief Executive Officer of the Council, or a delegated person. Clause 2.29 provides in the same terms that allegations in relation to the Chief Executive Officer should be directed to the principal member of the council. These provisions set out actions that should be taken. It is unclear whether failure to take such action is a breach of the Code. The provisions also do not specify who should undertake this action, but presumably employees are contemplated. It is also unclear whether the provision intends the making of fresh allegations, or simply provides how to deal with allegations that have already been made. These ambiguities will remain until guidance is provided by a Court, an inquiry agency or some other body. Additionally, clause 2.31 of the Code refers employees to their obligations under the Independent Commissioner Against Corruption—Directions and Guidelines (Directions and Guidelines) regarding reporting other employees’ conduct. In brief, employees must make a report to the Office of Public Integrity if they have formed a ‘reasonable suspicion’ that corruption of any form has occurred, or that ‘serious and systemic’ misconduct or maladministration has occurred. The concept of a ‘reasonable suspicion’ requires a factual basis. It is worth noting that not every breach of the Code will be conduct that warrants the making of a report under the Directions and Guidelines. Council Employees will direct any allegations of breaches of the Code of Conduct for Council Members to the Chief Executive or nominated delegate/s. This provision is worded differently to the equivalent provision for reporting employee breaches of the Code. Whether this provision requires the making of fresh allegations is unclear. Also noteworthy is the fact that the Code does not contemplate the effect of the Directions and Guidelines in relation to employees reporting breaches by council members. It remains to be seen how the Code, the Independent Commissioner Against Corruption Act 2012 (SA) (ICAC Act) and the Directions and Guidelines will be reconciled in this regard. Once again, such ambiguities will only be clarified once further guidance is available. The Code itself sets out that failure to comply with Part 2 of the Code can constitute a ground for disciplinary action against an employee, including dismissal. Indeed, this potential consequence is enshrined in legislation, specifically Section 110(5) of the Local Government Act 1999 (SA). The Code does not contemplate the involvement of the Ombudsman. However, it is worth noting that Local Government employees are ‘public officers’ under the ICAC Act, and that any breach of a code of conduct by a public officer will, under the ICAC Act, constitute ‘misconduct’. Misconduct can be investigated by an inquiry agency, such as the Ombudsman. There are however potential jurisdictional issues where no administrative act is involved. It is therefore not yet clear whether and the extent to which the Ombudsman could investigate an employee for a breach of the Code. Norman Waterhouse will continue to review the Code, and will endeavour to keep the sector informed of all of the Code’s practical and legal implications. Given our experience and expertise in Local Government industrial relations, we will be offering State-wide training on the Code shortly. Local Government - Roll up, roll up! - A new (major) event comes to town! The Major Events Act 2013 (SA) (ME Act) came into operation at the end of 2013. Declarations of major events under the ME Act have the potential to affect councils in a number of ways, including in relation to existing arrangements that councils may have in relation to land that may form part of a “major event venue” or “controlled area” declared under the ME Act. to prevent unauthorised commercial exploitation of major events, including ambush marketing, at the expense of event organisers and sponsors. The Act operates to allow an area to be declared by regulation as a “major event venue” during a “major event period”, including public areas. projected economic benefit to the State. Regulations declaring a “major event” may deal with all manner of things, including (without limit) to declaring an area to be a major event venue, setting a period during which restrictions apply to that area, closing specified roads, providing for the admission, exclusion or expulsion of members of the public to or from the major event venue or a part of the major event venue, and prohibiting or regulating eating or drinking within the major event venue area. In addition, regulations may declare an area shown on a map in the regulations to be a “controlled area” for the major event. A controlled area may include a road or road-related area under the Road Traffic Act (SA) 1961. A declaring regulation has effect despite the provisions of any other Act. The ME Act provides that before a regulation is made declaring an event to be major that the Minister must consult with any council in whose area the event is to be held or whose area the event will directly affect by the holding of the event. It is uncertain (despite that consultation) how third parties (with existing rights granted by a council) will be affected. For example licensees may be prevented from entering their licensed area throughout the duration of the major event. Although this may not necessarily have broad application to all councils, as existing arrangements are presented for renegotiation, it is suggested council’s consider whether there is scope for the ME Act to impact on these arrangements and consider the re-drafting of provisions to allow council sufficient flexibility to manage this contingency, and best place council to reduce the risk of any claim for compensation against council for such disruption. For more specific information on any of the material contained in this article please contact Michael Ryan on 8210 1287 or mryan@normans.com.au, or Yari McCall on 8210 1265 or ymccall@normans.com.au. Norman Waterhouse has kept the Local Government sector informed of all major developments in relation to the new Fines Enforcement and Recovery Officer (FERO), most recently upon the passage of the Statutes Amendment (Fines Enforcement and Recovery) Act 2013 (SA) (FERO Act). Among other things, the FERO Act amended the Expiation of Offences Act 1996 (SA) to transfer the critical role of enforcing expiation notices from the Magistrates Court to the FERO. One recent development is the passage of the Expiation of Offences Variation Regulations 2014 (SA) (Variation Regulations). The Variation Regulations serve the sole purpose of altering the Expiation of Offences Regulations 2011 (SA) to provide that an enforcement order of the Court will now be treated ‘as if the order were an enforcement determination made by the [FERO]’. The Variation Regulations seem to suggest effectively that the FERO, an agency of the Governmental Executive, will have the power to revoke past decisions of the Judiciary as though they were a decision of the FERO itself. The legal and practical implications of this arrangement remain to be seen. Another noteworthy recent development has been the creation of a new Magistrates Court Form 55, being the form by which a person may appeal an enforcement determination of the FERO. Issuing authorities – such as councils – will become parties to such proceedings. The only basis upon which an enforcement determination of the FERO can be appealed is that the person did not commit the offence (and thus the issuing authority was incorrect in issuing the expiation notice). Councils can therefore expect to be served with such appeal proceedings from now on. For more specific information on any of the material contained in this article or on the FERO and expiation of offences generally, please contact Dale Mazzachi on 8210 1221 or dmazzachi@normans.com.au. Town planning and local government – Variable message signs – Do they need approval? We continue to receive enquiries about unapproved signage. In particular, we note that variable message signs continue to be popular as advertisements for businesses located on or near arterial roads. These signs have raised concerns because of their makeshift and often garish appearance, confusing similarity to road safety signs, and potential to distract road users. These signs are often used because they are portable, cheap and effective in communicating their message. However, our experience is that development approval is rarely obtained. What is a ‘variable message sign’? Variable message signs (VMS) are electronic signs with a large illuminated screen (usually about 2.5 metres wide) which display one or several messages. The resolution of the screen can vary, from simple text to multi-coloured words and images. These signs are often trailer-mounted, allowing them to be parked on private land and displayed to oncoming traffic. VMS are commonly used by public authorities to inform motorists of roadwork, traffic congestion or other potential hazards in the public realm. VMS – are they development? A VMS which is used to advertise to passing traffic is development. Such use of a VMS requires development approval in order to be undertaken lawfully. an advertisement or sign that is visible from a street, road or public place or by passengers carried on any form of public transport. Other than within the City of Adelaide, the commencement of the display of an advertisement, but not including a change made to the contents of an existing advertisement if the advertisement area is not increased. the display of a sign or a change in the type of sign that is on display, including a change in size and the addition of animation or illumination. sign means every painted sign, mural or other sign, signboard, visual display screen, visual display image, visual display or projection device, other advertising device, lamp, globe, floodlight, banner, bunting and streamer, including any background as well as any lettering and any advertising structure. A VMS is a sign as defined in Clause 9. VMSs have traditionally been used to notify motorists of road works, traffic conditions or hazards. Schedule 3 of the Regulations lists acts and activities which are exempt development, and do not require development approval. In relation to the City of Adelaide, Clause 9(2)(a) of Schedule 2 similarly excludes traffic control devices displayed and erected under the Road Traffic Act 1961. A VMS used to warn motorists of roadwork is therefore unlikely to require development approval.